Being able to do magic is simply wonderful. It helps you get closer to people, while doing something you love. At the same time, it can prove to be a great source of entertainment for just about everyone who is watching you perform your magic trick. Now magic isn’t easy to do and it requires years and years of practice before you are even half decent at it. However, should you go on and master the art, you can easily pull off any magic trick and mystify your crowd. Card tricks are amongst the more basic tricks to pull off and one of the best card tricks out there is the cops and robbers card trick. This trick really confuses your spectators and gets you the best possible results. 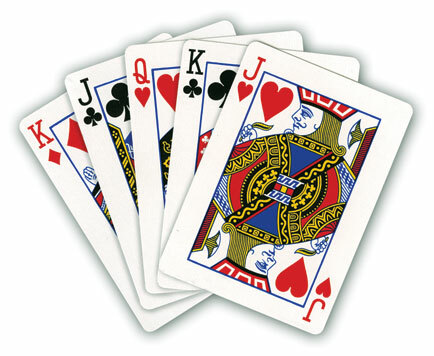 Before you do anything, go ahead and take out four of the jacks from the deck of cards. Now place them on top of the deck. After you have done this, take three more cards at random and palace these three cards on top of the jacks. Now take all the seven cards that you have manually selected and hold them in front of the crowd. However, do it in a manner so that only the jacks are visible to the crowd and so that they don’t know you actually have seven cards. Take the seven cards and put them on top of the deck. Hold the deck in your hand and come up with a story about bank robberies. Pretend the top of the deck is the roof of the bank and that this is the place where the four robbers/Jacks will get into the bank from. Now pretend like the jacks are looking for the money. Take the top card, which is a false card and put it on the bottom. Now do this with the next card, which is false again and move it at random in the deck and then repeat this step with the last false card. Now the last jack stays up top and this is the lookout robber. When the cops arrive, the lookout jacks tells everyone to come back to the roof, so that they can escape. Pretend that they all go up the elevator and then reveal the top four cards. Since you move the false cards, these are all jacks. Now stand back and watch the crowd awe in your brilliance.